This fine Medium-Roasted Myanmar coffee has a good body and positive characteristics. 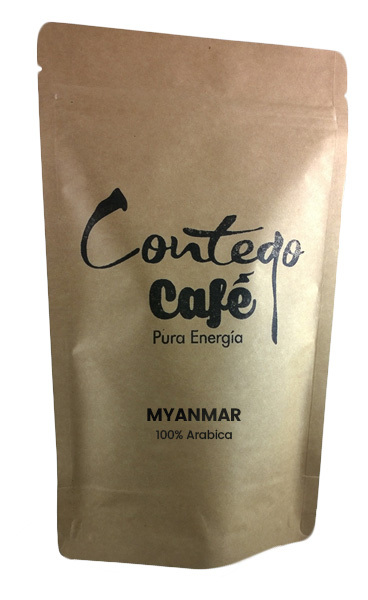 A dry processed Myanmar coffee that resembles a Brazil Cerrado Coffee. Known for its strong body (which can be almost oily) and earthy qualities somewhat comparable to Indonesian Coffees, Myanmar coffee sometimes presents aggressive tarry flavors with hints of garlic and is more comparable to an herbaceous Brazil Coffee. Cupping Notes: bright, sweet, sparkling and luscious. The perfect combination of a fruit-forward Ethiopian natural and a classic earth-and-spice-toned Sumatra, all in one. Brewing Tips: Myanmar has a big potential of a great coffee, especially in a single origin espresso. 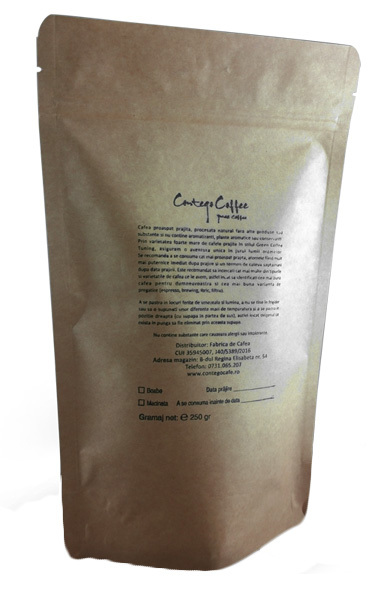 It`s aromas and it`s full body shine in a medium roast, brewed in a creamy espresso drink.